Do you know what a Tangram is ? It is an ancient Chinese puzzle made by cutting seven pieces from a square. Your child will be able to discover new shapes while playing with it and trying to solve puzzles. A little while ago I shared here a Christmas-themed Tangram that you can still download. 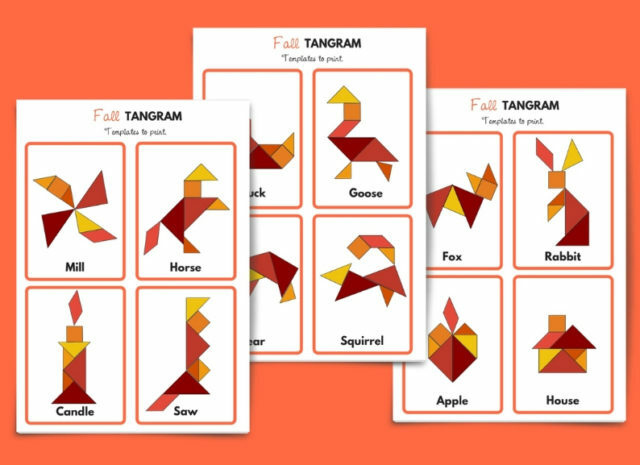 This time, it is a Fall-themed Tangram that I am offering with its 12 fall patterns and a multi-coloured Tangram template, available below. 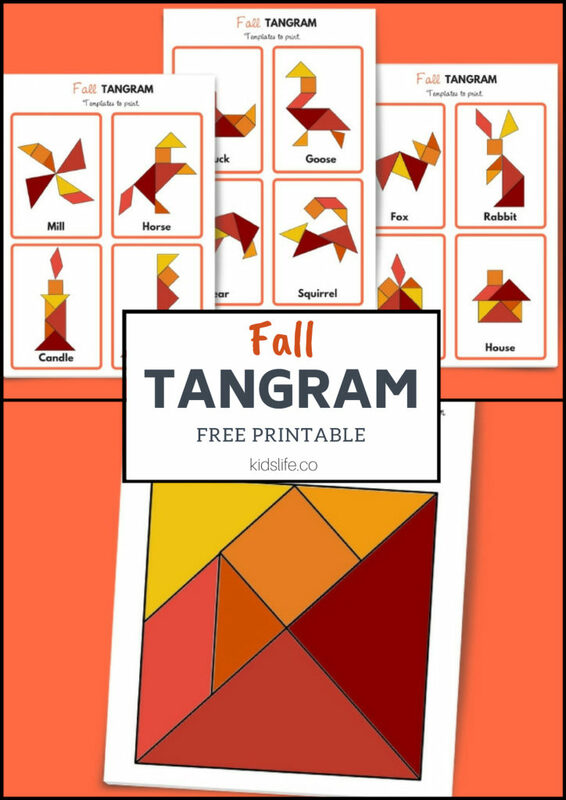 To download our free printable Fall-themed Tangram, please follow the instructions below. See you soon with more games.